Managing budgets, bills and other financial matters can be incredibly stressful and overwhelming. While they may not be paying mortgages or saving for retirement yet, this financial confusion is multiplied for kids. In today’s society of consumption and reality television, it’s easy to understand how kids can come to believe money grows on trees. However, it is possible to help your kids develop financial responsibility and learn to manage money at an early age, setting them up for success long into the future. Be a good role model. This is the most important and impactful thing you can do to help your kids understand how to manage money well. 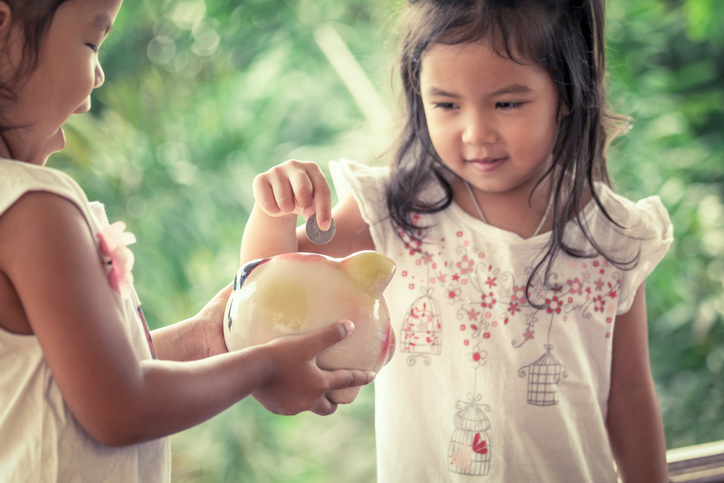 Demonstrating saving toward bigger purchases or expenses, having an emergency fund, and avoiding impulse buys can all go a very long way toward showing kids smart habits. For example, explaining that you will not buy an item today, even though you like it, because you would prefer to put that money toward a future, more meaningful or needed expense, can help them understand that money is limited and should be spent wisely. Consider an allowance. Especially as kids get slightly older, providing a weekly or monthly allowance can decrease the ongoing requests for more “things” that cost you hard-earned money (and the disappointment that follows when you say no). When kids have their own money for the things they want but don’t need, they will think more carefully about how to spend that money. This can even be applied in the short-term on family trips. 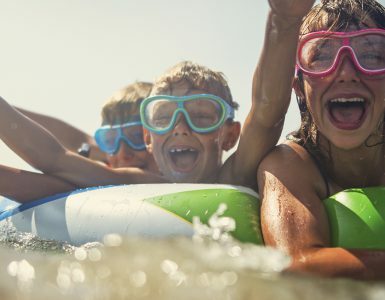 If kids have an established amount for souvenirs, it will encourage them to think hard about what they really want, as opposed to nagging you for every tchotchke that catches their eye. It is up to each family to decide how allowance will be awarded and how much, whether for specific chores or tasks or a set amount each week or month. The important thing is developing the knowledge and skills to prioritize and establish spending limits. Role play. Help younger kids understand the value of money and how it is spent with money-themed games and toys, including play money, cash registers, topical books and Monopoly, among others. Set up an account. Visit your bank together to open an account in your kid’s name, connected to your account for easier management. This is a great, and somewhat tangible, way for kids to understand the benefits of saving. Seeing the balance grow is rewarding, and they can set goals to work toward, such as a bigger toy, or even more long-term, a first car. This can help curb impulse buying and create a safe, established space to save birthday gift money, extra allowance and more. Further, many banks offer special and fun programs to educate kids about money management skills. Donate to others. An important part of financial responsibility is demonstrating generosity to those with less. Ask your kids to contribute a small amount to a charity of their choice – giving often feels better than receiving and might help them develop an even stronger appreciation for what they have and how they spend it. Encourage earning and learning. As kids enter their teen years, help them find part-time work to earn money if it works well for your family and lifestyle. For example, mowing neighbors’ lawns or working at the neighborhood ice cream shop are great ways to earn pocket change for fun with friends while also saving money for college or the real world. Also encourage teens and young adults to consider a personal finance course at college or through a community center. This can elevate their knowledge to the next level and teach them basics about paying taxes, car loans, and retirement savings, among other topics – key life skills that many of us are forced to learn as we go. If you’re a Health Advocate member with access to EAP+Work/Life or Wellness, contact us for more information about our Financial Wellness program and how it can help you and your family become more financially fit.